Each year, several classes participate in the Trout in the Classroom Program. This program begins in the fall with tank set-up, water chemistry analysis and habitat discussions in relation to our native Brook trout. Then, in early winter, the classes receive the trout eggs and are instructed on the stages of development of the trout from egg to alevin and then to fingerlings. It is their challenge and responsibility to maintain an appropriate environment for the trout to survive until spring when they are released in a cold water stream that can support them. The release is a fun and exciting day where the kids not only get to set their trout free but delve deeper into their natural habitat. This is done by putting on a pair of waders and boots and getting in the stream with seines and dip nets. Some scouring of the bottom reveals what lurks below and investigated further with hand lenses, microscopes and guide books. 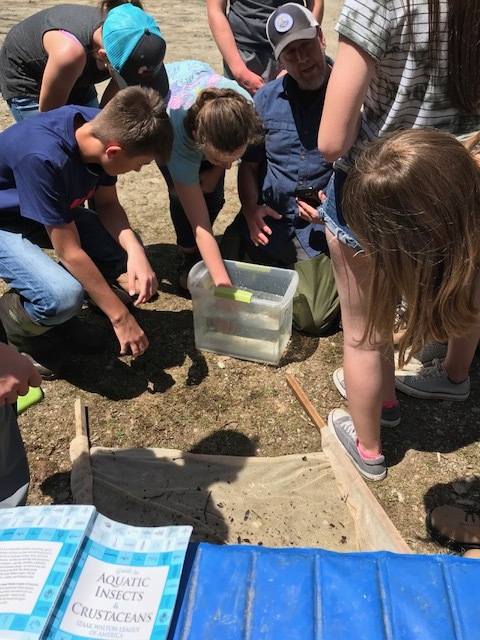 This experiential, hands-ons program not only teaches the life cycles of fishes and macro-invertebrates but encourages our youth to get out and explore a new habitat and establishes the foundation for stewardship. Newer PostBirds... Neighbors? Tenants? Friends?